While 4 soldiers of the Turkish army were killed in Kars, 2 guerrillas were martyred in Uludere and one other in Bitlis. 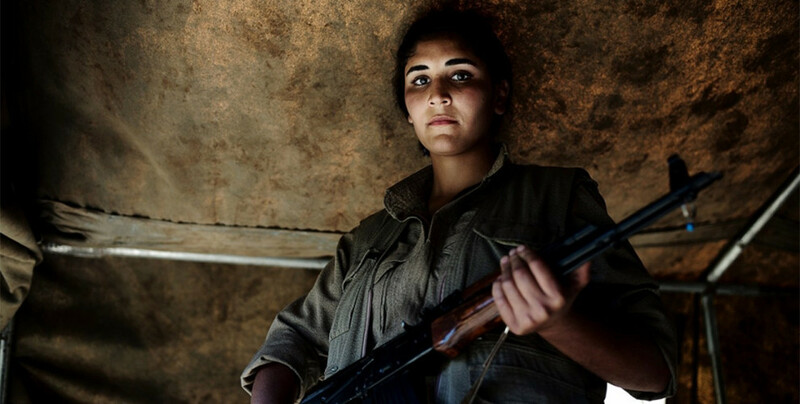 People’s Defense Forces Press Office (HPG-BİM) released a statement informing about the sabotage action carried out by guerrillas in Kars, and clashes in Uludere and Bitlis. “On July 11, the occupying Turkish army launched an operation in the area of the Kars’ Kağızman district. Within the scope of the Revolutionary Victory Campaign, on the same day, at 15.00, our guerrilla forces carried out a sabotage action targeting enemy soldiers trying to position on Horoz hill. In the action, four enemy soldiers were killed while another one was wounded. On July 11, the occupying Turkish army launched an operation in Kêla Memê area of Şırnak’s Uludere (Qileban) district. On the same day, between 08.00 and 11.00, invading forces with the support of UAVs (Unmanned Aerial Vehicles) intensely bombed the Gûndê Mehrê, Hill Bayrak, Hill Sinek and Mehrê areas with Attack-type helicopters and warplanes. Following the bombardment, the invading Turkish army airdropped soldiers on the area with many Sikorsy helicopters. The occupying Turkish army detained some villagers and practised pressure on them. During the bombardment, two of our comrades were martyred and one comrade was captured in a state of being wounded. The operation was withdrawn on July 12 during the morning hours. The ID information of our martyr comrades will be shared with the public when clarified.